Chairperson of UPA Sonia Gandhi will inaugurate two major initiatives of the Health Department on September 29, on her visit to the State capital, Health Minister V.S. Sivakumar has said. Arogyakiranam — which ensures free medical care to all children for all ailments till they are 18 years — and distribution of free generic drugs in all government hospitals, would come into effect on October 2, he said. Both APL/BPL families could derive the benefits of the scheme through government hospitals. 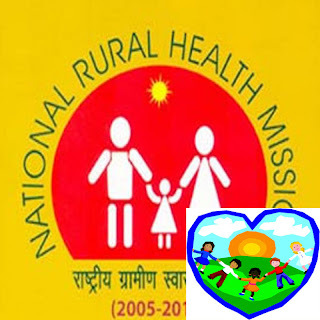 Arogyakiranam is the State’s modified version of the Rashtriya Bal Swasthya Karyakram (RBSK), a new national programme under the National Rural Health Mission (NRHM), offering a comprehensive health package for children up to 18 years. RBSK, launched in February, envisages early screening and intervention to prevent or manage about 30 birth defects, and deficiencies including developmental delays and disabilities in children, with follow-up treatment. Kerala is already implementing many of these child health initiatives on its own. Under Arogyakiranam, the Health Department intends to bring about a convergence of all these child health initiatives, which will be implemented utilising the Central funds which will come to the State under RBSK. An amount of Rs.21.6 crore has been allocated for the scheme through NRHM. Early intervention centres have been planned in all districts under Arogyakiranam. Under the scheme to distribute generic drugs free of cost, all government hospitals, up till primary health centres, will provide 820 drugs to patients in OP clinics. Committees have been set up at the hospital, district, and State-levels for the implementation of the scheme. Expert committees, including doctors as members, have also been set up at every district to monitor the stocks in the godowns of Kerala Medical Services Corporation Ltd., he said.